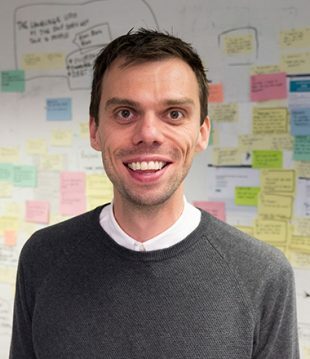 Hi, I’m Ryan Thomas Hewitt, Lead Business Analyst at DWP Digital. We've done a lot of work over the past year or so to develop the business analysis community in the organisation. We've previously blogged about some of the work we've done. 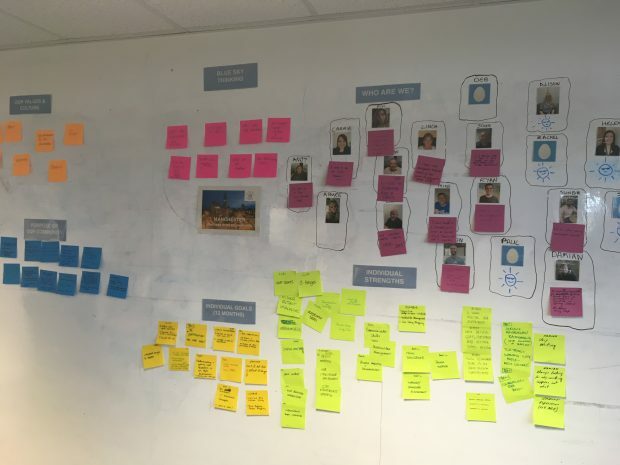 In this blog post I want to share our experience of using a ‘team canvas’ to discuss and visualise our business analyst (BA) community culture. What is a team canvas? A team canvas is a variation of the Business Model Canvas. It’s a canvas to visualise team membership such as pictures, names and strengths,and communicate the purpose and values of the team. There are plenty of materials about the team canvas online, including a standard team canvas and guidance for how to run a team canvas session. Some of our delivery teams have already created their own team canvas, such as the example in the picture below. Why did we use a team canvas? We wanted to create a team canvas for our Manchester business analyst community. 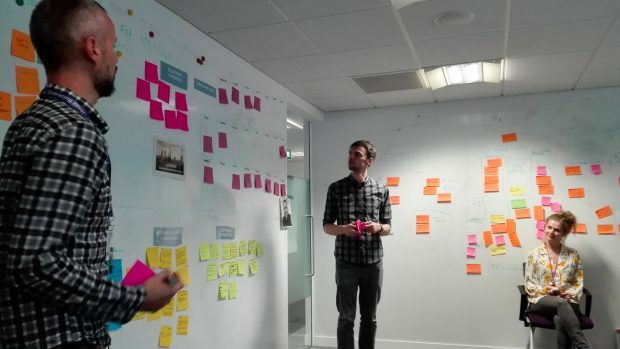 We’ve had a few new people join the team and we’re moving to a new office soon, so we wanted to run a session to discuss people’s expectations, understand their needs and ensure the Manchester BA community was geared towards their goals. Rather than say ‘this is what the community purpose and goals should be’, this was a session to get their input and understand the needs of the BA community. What do members want the purpose of the BA community to be? What values do members want from the community? How can the community support their individual goals? What strengths do members bring to the community? To do this, we tweaked the standard format of the team canvas and created our own format. The session lasted 1 – 1.5 hours. It felt like a great opportunity to learn the needs of our BA community. In fact, although we ran the first session in Manchester, we then took the idea on tour to our other digital hubs in London, Newcastle, Leeds, Blackpool and Sheffield. It was really interesting running the event in each location. It means we can identify common – and specific - needs from each BA Community. Objectives and key results (OKRs) – We’re looking to turn the purpose statements into OKRs that we can measure and set quarterly goals. It’s part of a commitment to keep improving the BA Community. We’re in a good position but we always want to improve. If you’ve got any questions let us know. And thanks to Roberto Real for introducing us to the idea of a team canvas. Great blog Ryan, we're intending to use the same technique at our inaugural Sheffield Delivery Practice community event. Thanks for sharing Ryan, I am really interested in finding out more about team canvas, looks like a great tool.